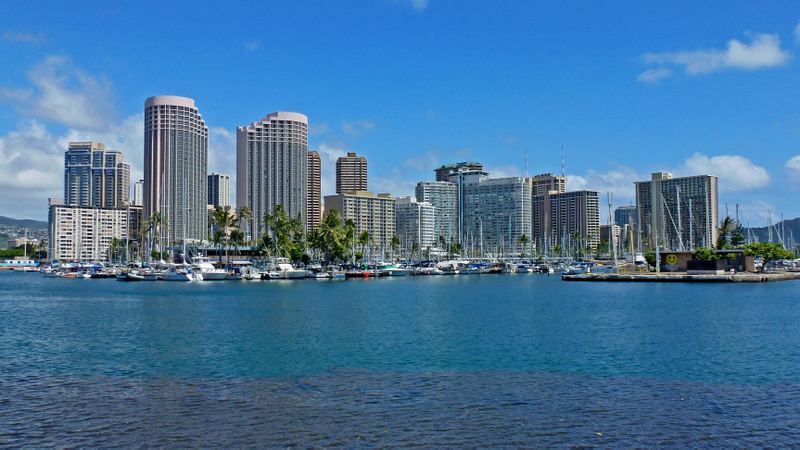 Thinking about Hawaii condo rentals? Of course, one of the most important parts of arranging your vacation to Hawaii is your lodging arrangements. Hawaii offers everything from simple hotels to tremendous luxury resorts. But those are not your only lodging options. Renting a condominium in Hawaii could be a good vacation alternative for you. For many travelers, renting a condo can be an excellent, practical and affordable choice. Condos are much more economical than any other type of rental. They often cost considerably less than hotels and generally offer more benefits and amenities. For example, many condos have on-site laundry machines, kitchens and multiple bedrooms, perfect for families. And in some cases, they offer access to secluded beaches with stunning views of the ocean. Fully-equipped kitchens are common features in condo rentals. As a result, you can save money by buying groceries at a supermarket, rather than eating at restaurants. All of these amenities, though familiar, can enhance your stay on the Hawaiian Islands by providing all of the comforts of home even while you are vacationing. Every condo rental is different and unique. Depending on where you choose to stay, available amenities and accommodations can vary greatly. When making your choice of condo to rent out, one owner may have a space that includes a huge flat-panel television. While another may include high-end linens and dishware. All you have to do is select a location that includes the kinds of amenities and accessibility that you prefer. Whether you happen to be looking for a simple, studio condo for a romantic honeymoon or you need a three-bedroom condo for a family vacation, there will be a place that is designed to perfectly fit your needs. Panda Travel ® has more than 35 years of experience as a locally-based, full-service travel agency. For more than three decades we have sold Hawaii vacations to people all over the world. Over the years, Panda Travel ® has also established good relationships with a broad selection of hotels, resorts, condo rentals, airlines and other services. So when you combine our years of experience with these strong connections, we are able to bring affordable deals to our customers. Whether you’re interested in a hotel or condo, we have the resources to help you plan the perfect visit to the Hawaiian Islands. Our new quick search tool makes planning your entire Hawaiian vacation easier with Panda Travel ®. You can find deals on almost anything that you could possibly need. Such things can include: airfare, rental cars or lodging at a hotel, resort or condo of your choice. There are even a host of unique tours and activities that you cannot find anywhere else in the world. And you can arrange it all with a few simple clicks of your mouse. Need additional information regarding condo rentals in Hawaii? If so, please give us a call at our toll-free number at (800) 303-6702. Our travel agents can help ensure your Hawaii travel arrangements won’t break the bank.